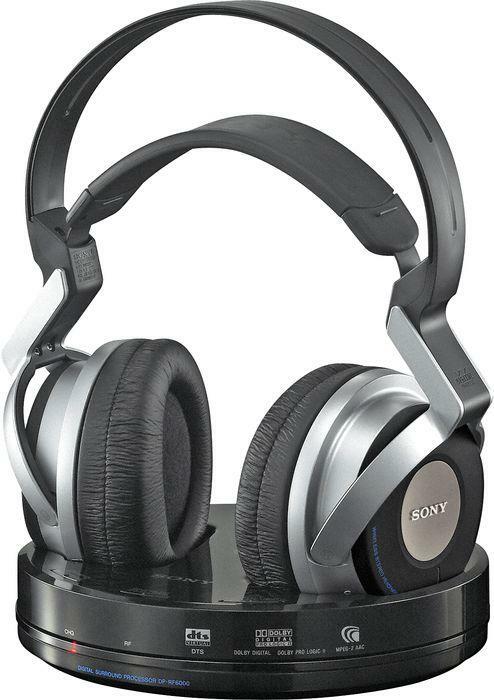 Sony MDR-DS6000 is a comfortable pair of wireless headphones that comes with excellent bass quality. It includes a surround sound support feature. The model is highly reliant on external power sources, so they are recommended for in-home use. The unit is not properly functioning when it comes to gaming, although the manufacturers claim it was design for such activities. 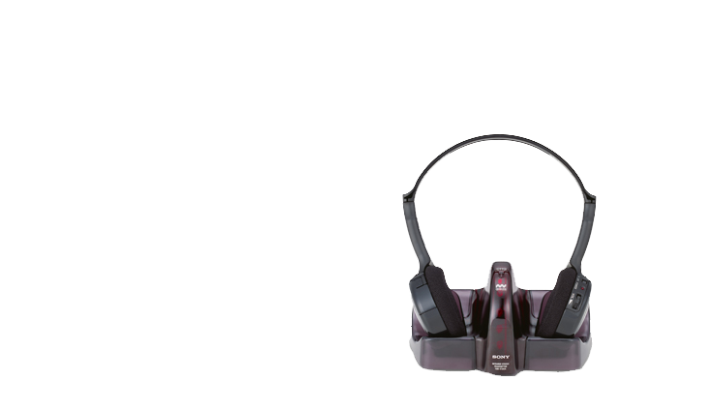 The product includes some useful and exciting features, offering compression and digital surround sound. However, even if the bass is great, the overall quality of the sound is decreased by numerous distortions that one can experience at times. Also, the model uses a 2.4 GHz band, which means that is prone to interference caused by the fact that most home networks work on the same band. One of the main advantages of this product is given by its bass, and next to this, it includes very easy to use controls for movie effects: you can easily choose between cinema mode and music mode. When watching movies while using Sony MDR-DS6000 the sound hears as if in a theater. The model stands ahead other similar products when it comes to the best choice for wireless home theater, as it is a great ‘quiet’ solution. The wireless channel is quite difficult to be found in the beginning, but this goes better in time. 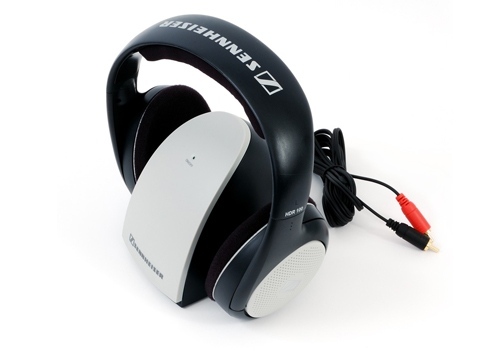 The headphones come with rechargeable batteries that last for around seven hours of use. The product also includes an optical output, but it doesn’t come with the required cable, so you will have to buy one. 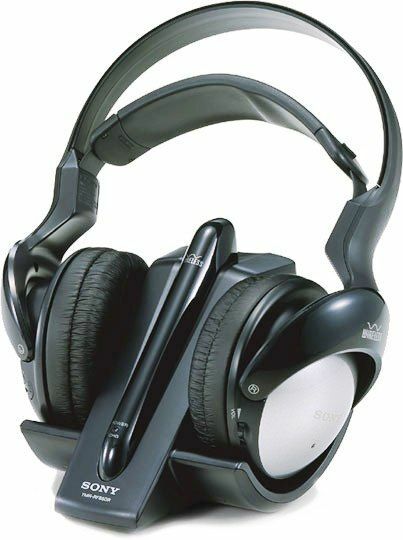 The listener can experience distortions when using MDR-DS6000, but this is not too discernable, nor too annoying when listening to moderate volumes. However, apart from this, the superiority of digital technology is easily observable over the quality provided by non-digital RF headphones. All in all, Sony MDR-DS6000 makes a great deal for those who plan to use them when watching movies, but is not that great for listening to loud music or playing games. Control your iPod from far away! The headphones are much more lightweight than similar models. They offer great levels of comfort. iPod controls are available on the headphones. Low bass range, some edges are sharp and uncomfortable for some users, signal wanes when you are on the other side of a wall from your iPod. 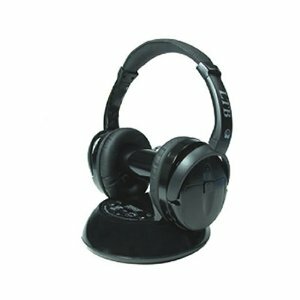 This comfortable headphone set fits snugly on your head as you listen to your music in high quality. 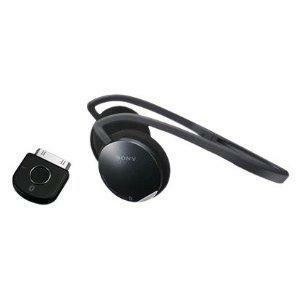 It also connects easily to your iPod via wireless to allow you to listen to your favorite playlists. Sony DR-BT21IKB wireless headphones are one of the best sets out there to help you to listen to your iPod playlist without any hitches. It connects to the iPod without any problems whatsoever, and you will find that the lack of annoying wires really changes your iPod experience completely. The behind-ear style headphones are built to give the utmost comfort, and will fit onto your ears without any problems. The additional option of controlling your iPod using the Sony DR-BT21IKB headphones is a really valuable feature of this piece of equipment. Some of the basic iPod functions such as play, pause, stop and volume control are available on the headphone set itself, which means you don't have to go back to your iPod whenever you want to pause the music. All in all, the Sony DR-BT21IKB wireless headphone set is the perfect solution for you if you're looking for wireless headphones which seamlessly integrate with your iPod. Simple to set-up and operate. Excellent range, although the 150 feet is optimistic once you figure in walls. Batteries last for a long time. Above average sound quality. Small enough to pack and take on a trip with you. Headphones shut off when you take them off saving battery life. Sound quality of wireless headphones still isn't even close to wired models. Plastic base seems cheap. Would be nice to have a digital input. Volume control on headphones is poorly placed. Wireless headphones, even the inexpensive ones still have a long way to go before they approach the sound quality of their wired counterparts. The base on this unit needs some weight and a lot more plastic. Headphones should sound better for the price. 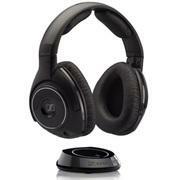 Sony MDR-RF960RK Stereo Wireless Headphones: Did You See that Dunk? Affordable wireless headphones from the giant of consumer electronics don't exactly make me want to sell my wired models. Listening to music at home late at night has become a major problem for me. Little children do not react well to Metallica or Mozart when it circulates through the vents and keeps them up until midnight. The significant other does not take well to it either. Music allows me to unwind after a very long day of writing and sitting in traffic, so I get upset when my desire to sit by myself for an hour listening to the stereo is met with anger and hostility. I wish that they made headphone cord extensions long enough so that I could sit in bed next to my wife while listening. Wireless headphones may not be the ultimate cure for martial discord at 10pm, but at least you can be in the same room and smile over at your spouse and pretend that you are listening. Let’s face it. Not everyone wants to watch ESPN at 11pm. The main criticism leveled at the crop of wireless headphones on the market is that they sacrifice a lot of sound quality in return for the convenience of being able to listen wirelessly. It is a valid one, but is it reasonable to expect that a $99 pair of wireless headphones that allow you to wander around your home in sonic bliss, would sound as good as your $300-$500 reference cans? There are trade-offs with everything, including the top reference models. Sony’s MDR-RF960RK wireless headphones are actually a rather good solution to these problems because for $99 they offer a lot of convenience, and above average sound quality. Charging the MDR-RF960RK on the charging/wireless base station only took about an hour, and will give you hours of use. Sony claims that the headphones have a range of 150 feet from the base station, which I found to be quite optimistic. Homes have these crazy things called “walls” that tend to cut that number down. In an open space, such as a loft, I think it is reasonable to expect that you would keep a strong signal as you moved around. In my seventy-five year-old home with heavy plaster walls and multiple floors, it only worked well if I remained on the same floor. I ran a cable from my surround receiver into the base station and tuned in some local FM stations. The sound quality surprised me. Bass actually had some weight and resolution, the midrange did not sound horribly congested, and there was some extension on top. Switching to CD, I thought that the MDR-RF960RK did a credible job with Tom Russell’s stellar album, Love & Fear. Russell’s voice has great presence and emotion behind it and while it was not the clearest reproduction I have ever heard of the recording, it was more than acceptable. Standing in the bathroom listening to Russell sing about human suffering, as I brushed my teeth, was weird, but satisfying as well. One thing I did not like about the headphones was how local television programming found its way into my ears. I accidentally hit a switch on the back of the base station and changed the channel. Audio from a television located at the back of my home in the family room was picked up. The base station also struck me as being on the cheap side. The plastic does not seem all that robust and I can envision a child breaking this thing rather easily. One feature on the headphones that bothered me at first, but soon learned to love was the tiny volume control on the right earcup. If you have large hands as I do, it is not the easiest dial to turn with your fingers. I did manage to find a digit that fit inside the cut groove and adjust the volume. The smartest feature with these headphones is the on/off function when you take the headphones off your head, or replace them. Not only does it save battery life, but also it makes it appear as if you are really listening to your spouse when they tap you on the shoulder because the music emanating from the headphones is so friggin loud. Not a bad entry point to wireless headphone listening at all. MDR-IF240RK headphones deliver crisp clear audio transmission through infrared transmission; allowing you to move freely about a room without worry of tangling or length. Perfect for listening to television late at night while others are sleeping.